Size: approx. 10 mm. Photo: 06/16/14, 10 pm. 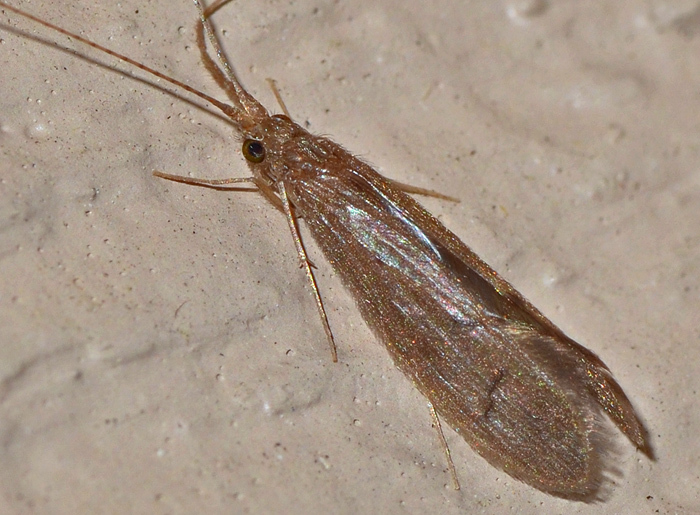 Long-horned caddisflies are difficult to identify. All adults in this family have very long and slender antennae. Their larvae are aquatic. This specimen was attracted to the lights at our house.